God, I Hope LB Doesn’t Get My Feet! 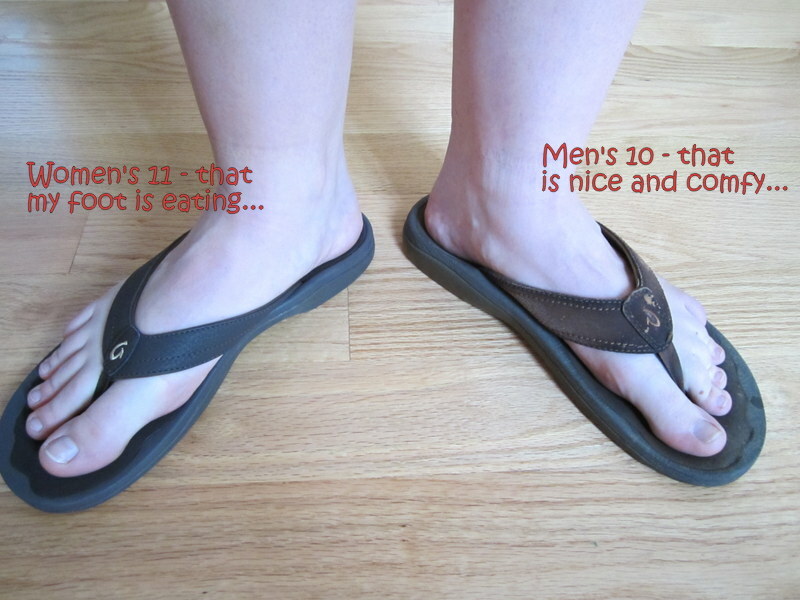 Most of the time, I wear a women’s size 11, although there are times that even that monstrously large size is too small. 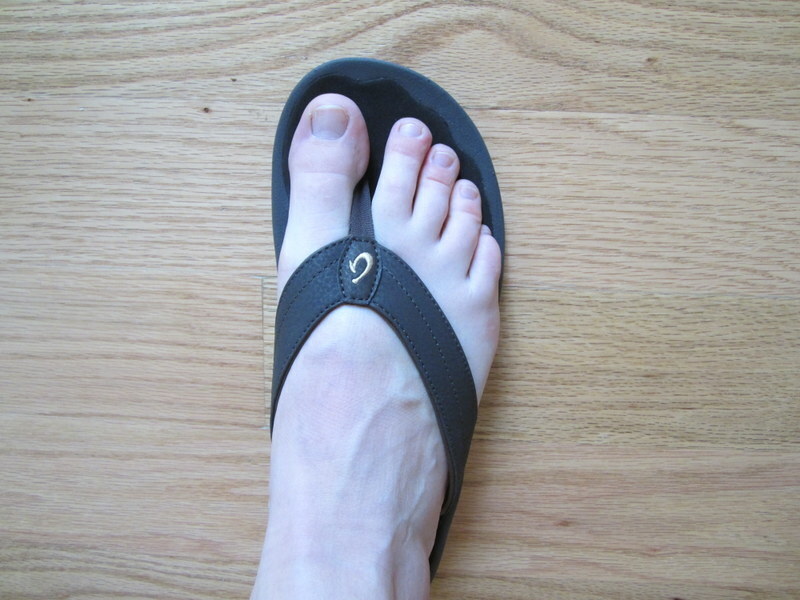 Case in point – I’ve been bugging DB to buy me my own pair of Olukais (the best flipflops ever) as a birthday gift for at least a year. He finally got tired enough of me snaking one of his pairs to wear and purchased them from Zappos over the weekend. At first, for some reason unbeknownst to me, I decided to try a women’s 10. (What was I thinking!?!) Within 20 seconds of their arrival, I knew I had to return them for the next size up. So Zappos’ awesome customer service helped me out and sent me the size 11 – for free – before we had even returned the 10s. They arrived yesterday afternoon and all I can say is that I hope to God that LB doesn’t get my feet. As they don’t actually make a women’s size 12 for Olukai sandals, I have decided that I am just going to confiscate DB’s newer, black pair for myself. And then if he wants, he can buy himself another pair and consider it his birthday present to me.